It was at the RAPID + TCT show two years ago that HP formally unveiled its groundbreaking Multi Jet Fusion technology, and the system has come a long way since then, integrating itself deeply into the 3D printing industry and changing the way we think about additive manufacturing. This year at RAPID, HP is further expanding the reach of Multi Jet Fusion with two new partnerships. Jabil will be deploying HP Jet Fusion 4210 systems in the United States and Singapore for the Jabil Additive Manufacturing Network, while Forecast 3D is expanding its inventory to 18 4210 systems. Jabil is one of the largest product solutions companies in the world, with more than 100 facilities in 29 countries. The company has six MJF 3D printers in its US location already, and will be adding six more to its Singapore location, bringing the grand total to 12. These printers will boost the new Jabil Additive Manufacturing Network, allowing design and manufacturing teams to collaborate across distance, manage incoming orders, allocate jobs across resources, and produce end-use products in the locations best suited for their supply chain and distribution needs. At the moment, Jabil is using its new network to bring product designers in Silicon Valley together with manufacturing teams in Singapore to accelerate the distributed manufacturing of products developed using MJF technology. These include parts for HP’s own 3D printers. More than 140 parts for HP’s new Jet Fusion 300/500 3D printers are being produced by Jabil in what is believed to be the most 3D printed parts for any commercial product in the world. 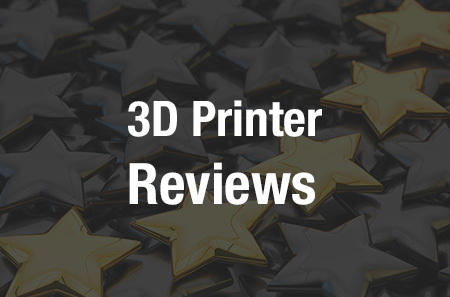 Forecast 3D is one of the oldest and largest privately held 3D printer manufacturers in the United States, and it is adding six new HP Jet Fusion 4210 systems, bringing its total to 18. The company plans to produce several million end-use parts on HP’s 3D printers over the coming year, for multiple industries including medical, consumer goods, aerospace, defense and automotive. RAPID attendees can learn more about Multi Jet Fusion technology at HP’s booth, #1330 this week. Nigro will be speaking in the General Session on Thursday, April 26th at 8:30 AM.